A short walk through the unconscious mind of Every, a rabbitoid human who is supposedly an astronaut. 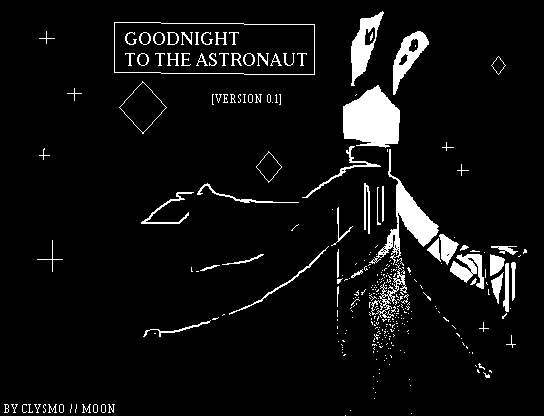 You control Blanc, a drifting robot, who is searching Every's dream for something they lost. Created in ~30 hours for the Space Bunny Jam with a mouse, some clay, mspaint, rpgmaker vx ace, and my friend who I kept asking to tweak things for me. A longer game was planned, and may exist eventually.